Potato and cauliflower - one of the best combos to make a side dish interesting. Aloo Gobi fry is a very simple and tasty dish which is very easy to prepare, minimal spices and hardly takes any time. 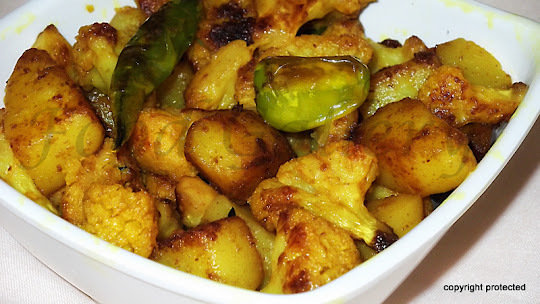 This version of aloo gobi fry is a part of breakfast/dinner in many bengali homes. 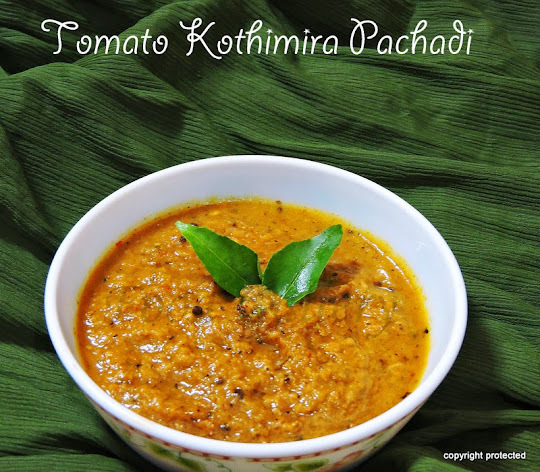 Can be served with roti or paratha or as a side dish with rice and dal or any variety rice. 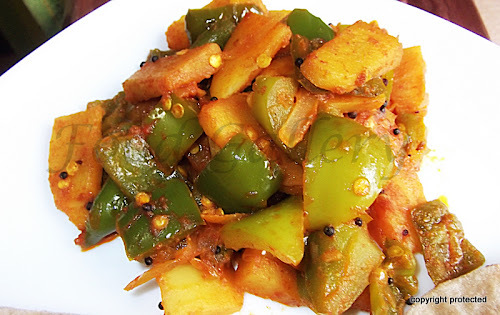 Aloo capsicum is an easy to prepare and quick sabzi which tastes really good. Learn how to prepare it by following this recipe. Bandhakopir tarkari or Bengali cabbage curry is a simple and delicious side dish cooked in typical Bengali style. 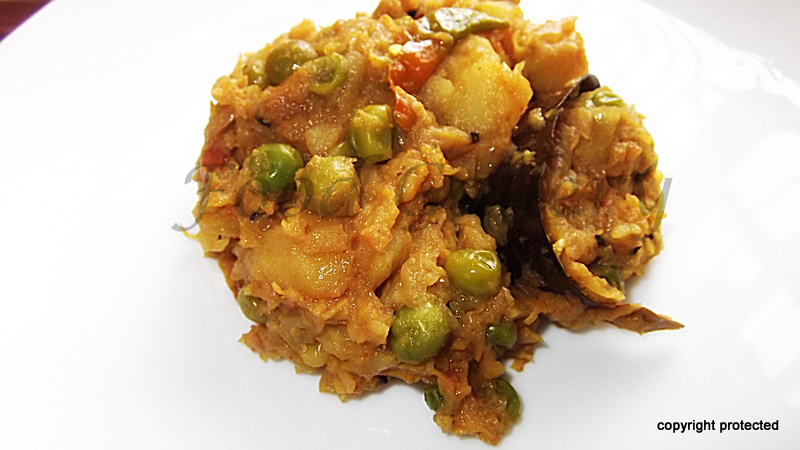 Bandhakopi means cabbage and torkari means any side dish with vegetables in it. Go ahead and try this awesome dish.. am sure you will like it.